You’ll be able to tell the professional difference between NC Pest Control and other pest control companies! When it comes to the creepy-crawlies surrounding your Fuquay-Varina, North Carolina property, you may not mind them as long as they stay outside, that is! When they start to invade your space, however, that is an entirely different matter. 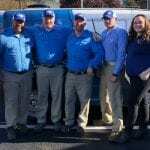 While there are all sorts of pest control companies that one can call to take care of any number of pests, our team at NC Pest Control would like the chance to prove to you why we are the best in the area! Calling NC Pest Control means that you’ll have someone on your side who is experienced and educated in not only determining what type of pest you have, but how to safely and properly take care of it as well. While there are some pests that have a tendency to return to their favorite haunts, we do our best to educate our customers about preventative tips and treatments so that a visit from us can mean the end, not the beginning, of you pest control company issues. We take pride in our work as a pest control company here at NC Pest Control. We work hard every day at what we do and enjoy doing our job well. You’ll be able to tell from our results that we take a great deal of pride in our work. 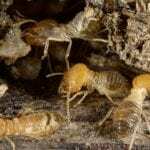 No matter what pest is trying to move in, be it roaches to rodents to fleas, we want to help you get rid of them! Contact us today at NC Pest Control and let us show you what a quality pest control company like ours can do for your property.